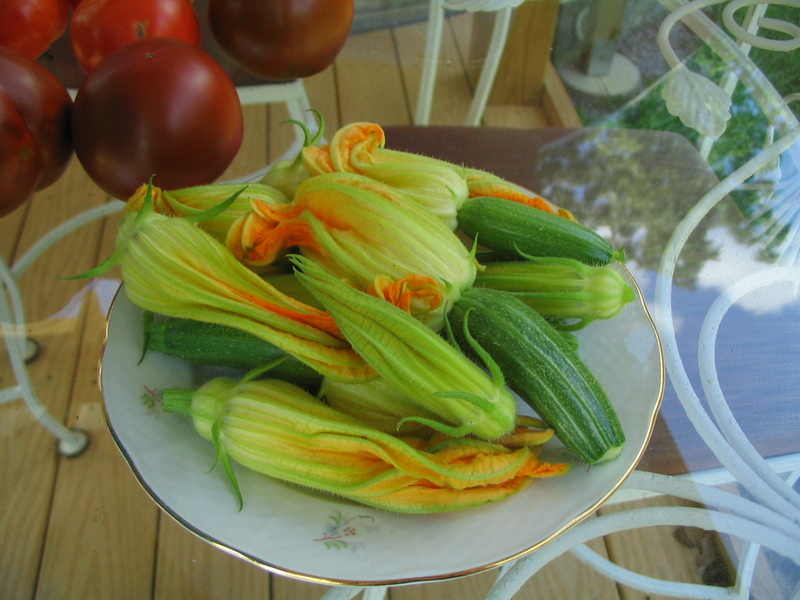 Last week we had a request to bring squash blossoms to the farmers’ market. 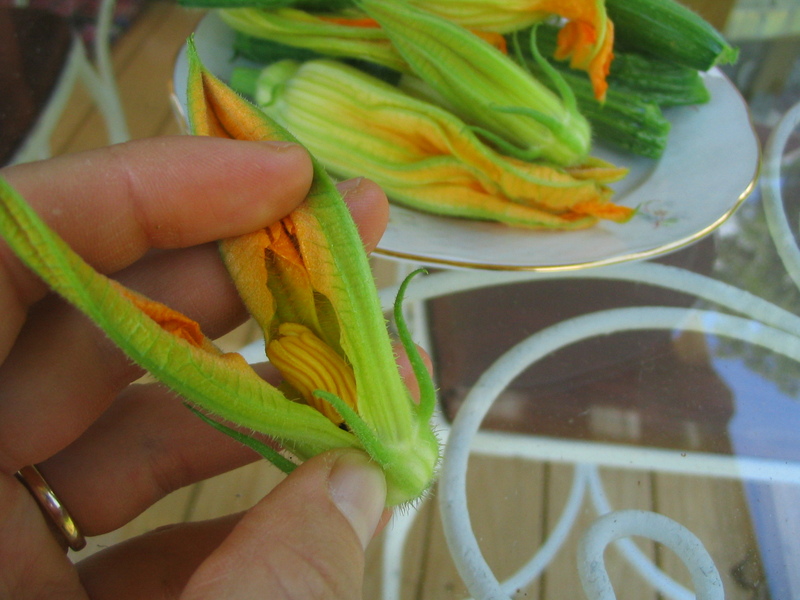 I had never eaten a squash blossom, so I figured it was time to give it a try. 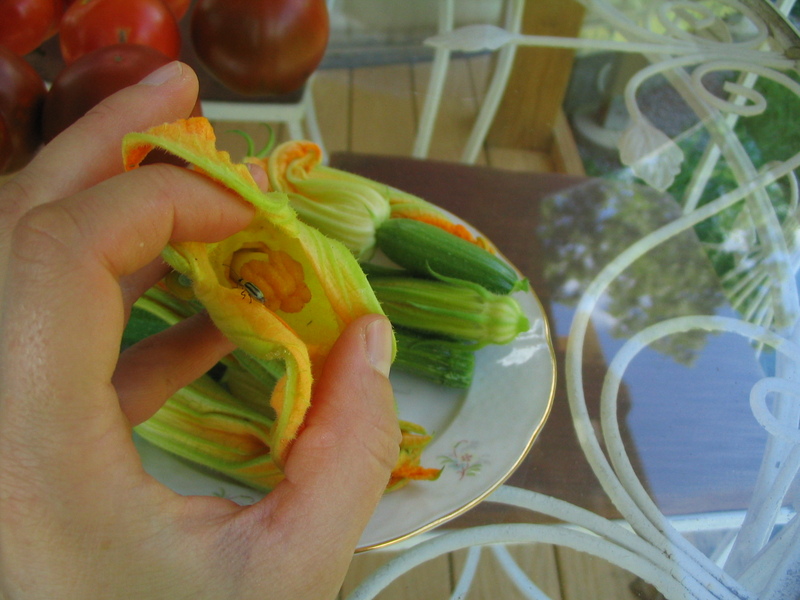 I picked about 16 blossoms, some with baby zucchini and squash already growing. This turned out to be a little overload for just two people to eat. 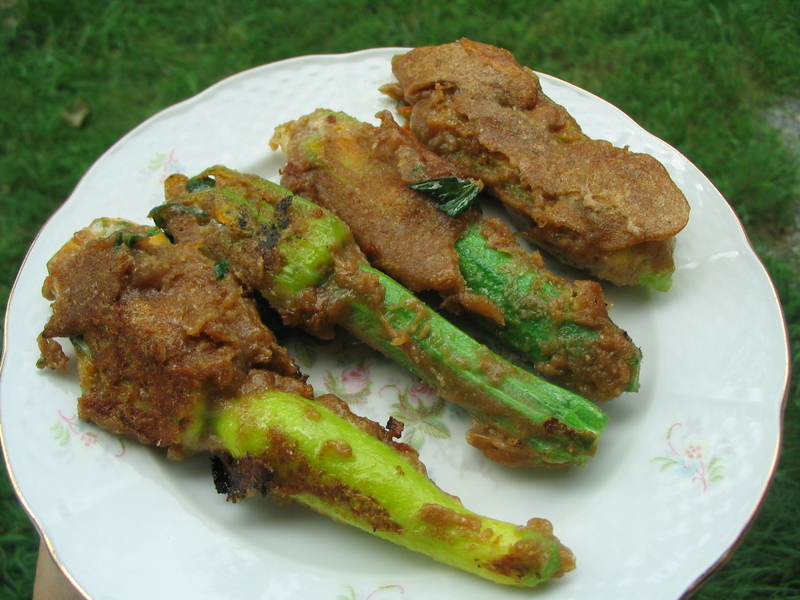 You really don’t want leftovers as they are best right out the pan. I would say 4 blossoms per person is plenty for an appetizer. I read a lot of different recipes online, and most said to remove the calyx or stamen (depending on if it is a male or female blossom) in the center because they are bitter. You have to be very careful when opening the blossoms or they will rip like this one did. I nibbled on both a calyx and a stamen, and I didn’t find them to be bitter: so I am not convinced this step is necessary. However removing them does leave more room for stuffing. Also be sure to remove any bugs. The recipe I was (not) following called for a batter of 1 cup flour and 1 cup lite beer. I used whole wheat flour and oatmeal porter beer, and I ended up having to use about 2 cups of beer to make the batter the right consistency. I also stuffed the blossoms with grated cheddar cheese mixed with walnuts and parsley before battering them up and frying them in oil. The recipe called for a stuffing mixture of ricotta cheese mixed with pine nuts, thyme, and honey. That sounded good but I didn’t have those ingredients on hand. They turned out yummy! Next time I will use a lighter beer as the oatmeal porter was a little bitter for my taste. I think it would have been better using a lighter flour also, because the whole wheat flour made a really thick coating. 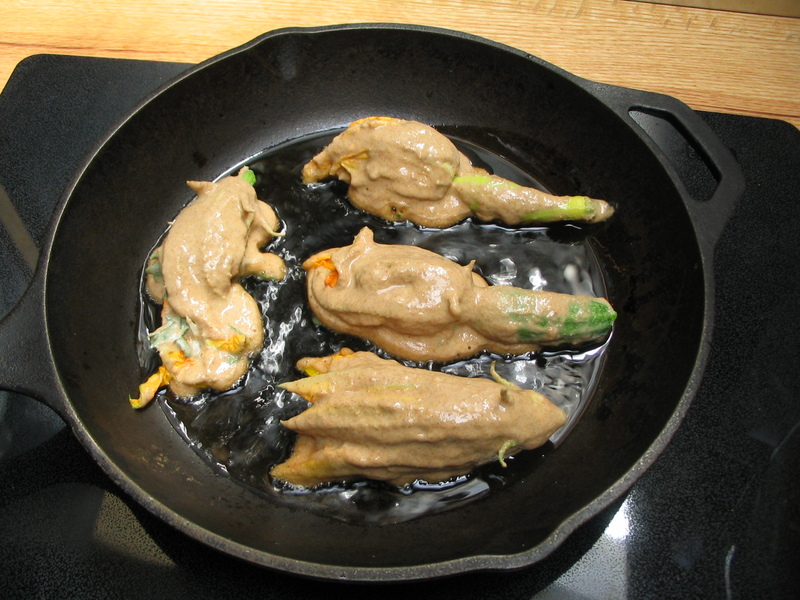 Maybe next I’ll try making stuffed batter-fried jalapenos!! !